Premiere: February 6th, 2017 in New York City, US by Mélanie Clapiès, Eunae Koh, Carrie Frey, and Isidora Nojkovic. This piece is based on two Gaillardes by French composer and music publisher Pierre Attaingnant. 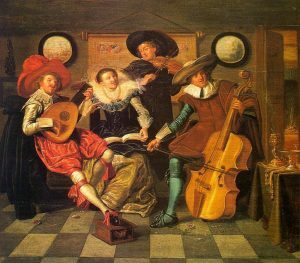 This piece is intended to be the third movement of a larger collection of French Renaissance dances.